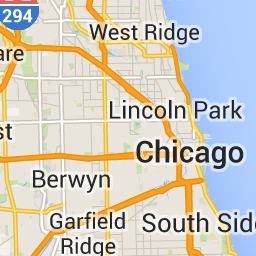 The Tile API is available only to select partners, and is not included with the Google Maps Core Services. The Tile API allows direct access to Google Maps tiles, including map tiles, satellite imagery, terrain imagery, Street View tiles, and various overlay data. Note: To use this API, you must have an API key, and the account which you use to create the API key must be whitelisted for access to the Tile API. Please contact Google Cloud Support for assistance. Retrieve a session token, specifying the options for the session. Use the session token to request a map tile. Retrieve viewport information to obtain details about the tiles being displayed. 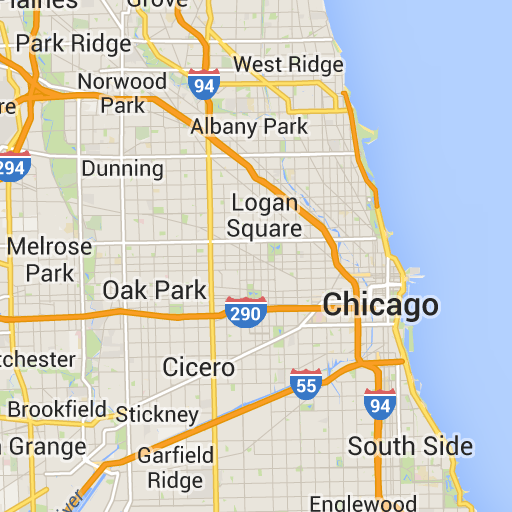 If you'd like to request Street View panoramas, see the Street View guide. Every request to the Tile API must contain an API key as the value of akey URL parameter. You may use a generic (unrestricted) API key. We recommend that you use a browser-restricted API key. This key identifies your application and ties it to your available quota. If you have an existing unrestricted key, or a key with browser restrictions, you may use that key. Select the project created for you by Google Cloud Support when you purchased the Tile API. The project name will always start with Google Maps APIs Premium Plan Project. If you have not yet purchased access to the API, please contact Sales. Note: If you have an existing unrestricted key, or a key with browser restrictions, you may use that key. In the Google Cloud Platform Console, you can also look up an existing key or view a list of enabled APIs. To request tiles from the API, you must first request a session token. This session token is required for subsequent requests for tile and viewport information. A session token represents a defined set of display options, so that individual tile requests do not need to pass display options each time. A session token can be used across multiple clients. A session token is currently valid for 2 weeks from its creation time, but this may change without notice. The expiry field in the response may be used to check the expiration time of the token. 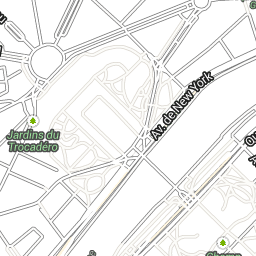 roadmap: The standard Google Maps painted map tiles. terrain: Shaded relief maps of 3D terrain. When selecting terrain as the map type, you must also include the layerRoadmap layer type (described in the Optional fields section below). streetview: Street View panoramas. See the Street View guide. language: A CLDR language identifier indicating the language information on the tiles should be presented in. For example, en-US or ja-JP. region: A CLDR region identifier representing the physical location of the user to whom we are showing these tiles. e.g. fr. imageFormat: Either of jpeg or png, specifying the file format to return. Note that JPEG files do not support transparency, so are not recommended for overlay tiles. If no imageFormat is specified, the best format for the tile will be selected automatically. scaleFactor2x: Doubles label size and eliminates minor feature labels. scaleFactor4x: Quadruples label size and eliminates minor feature labels. highDpi: Specifies whether to return high DPI tiles. If true, the number of pixels in each of the x and y dimensions are multiplied by the scale factor value (ie. 2x or 4x), while the coverage area of the tile is unchanged. This parameter only works with scale values of 2x or 4x; it has no effect on 1x scale tiles. layerRoadmap - Required if terrain is specified as the mapType. 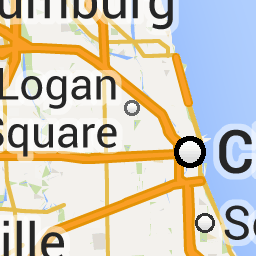 Can also be optionally overlaid on the satellite mapType. Has no effect on roadmap tiles. layerStreetview - Shows Street View-enabled streets and locations using blue outlines on the map. layerTraffic - Displays current traffic conditions. styles: An array of style objects that define the appearance and detail level of map features such as roads, parks, and built-up areas, in order to customize the standard Google base map. The styles parameter is only valid if the mapType is roadmap. For the full style syntax see the style reference. You can use the Maps Platform Styling Wizard to define your colors and generate valid styler objects. overlay: A boolean value defining whether specified layerTypes should be rendered as a separate overlay, or combined with the base imagery. When true, the base map is not displayed. This example provides an overlay suitable for combining with satellite imagery, containing both a roadmap and Street View overlay. It will be rendered in Japanese, with naming conventions and data appropriate for Japan. To obtain usage reports broken down by channel, contact Google Cloud Support. 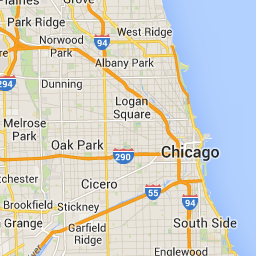 B3MWHUG2MR0DQW - Opt-in to the updated Google Maps basemap. During the opt-in period, your requests will get the existing style unless this value is specified. 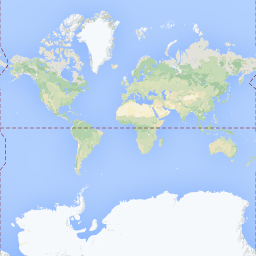 B3H9HE845CFHYG - Opt-out of the updated Google Maps basemap. During the opt-out period, your requests will get the updated style unless this value is specified. session - A token to be included in subsequent requests. expiry - A string that contains the time (in seconds since the epoch) at which the token will expire. A session token is currently valid for 2 weeks from its creation time, but this may change without notice. 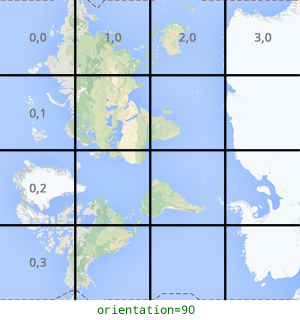 tile(Width|Height) - The width and height (in pixels) of the tiles which will be returned. imageFormat - The image format returned. Currently one of "png" or "jpeg". Once you have a session token, you can make tile requests. Because each session token is tied to the particular request, you don’t need to specify the map options with each tile request. Tile requests are made via a HTTP GET request. The optional orientation parameter defines the counter-clockwise rotation of the tile image in degrees. Orientation is supported for roadmap tiles, and for roadmap, satellite, or terrain requests with "overlay": true. 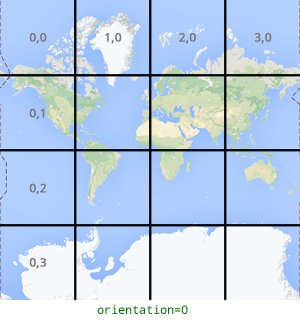 Which is zoom level 0 (where the whole world fits on a single tile), and x and y coordinates (0, 0). private: Indicates that the response is intended for a single user and may not be cached in a shared cache. It may be cached in a private cache. max-age: Your client must respect the max-age value that is passed in the response. The value of max-age is expressed in seconds, and may vary depending on the type of resource being requested and/or specific options. must-revalidate: If the cached resource is stale, you MUST send a new request to the Tile API to request a fresh resource. no-transform: The returned image may not be modified, including its headers. These header fields are described in more detail in the HTTP/1.1 protocol documentation. Viewport information requests return important information about the tiles that make up your current viewport. This information currently includes the necessary attribution to be displayed with your map, and maximum zoom levels that aid in building a zoom slider. zoom is the current zoom level of the viewport. north, south, east, west are the furthest north, south, east, and west points in the viewport expressed in degrees. North and south must be in the range (-90,90), east and west must be in the range (-180, 180). To express bounds crossing the antimeridian, west can be positive (e.g. 170) and east can be negative (e.g. -170). The copyright field contains an attribution string which must be visible on the map. The maxZoomRect field contains an array of bounding rectangles which overlap with the current viewport and the maximum zoom level available within each rectangle. Each tile request counts against your project's quota for the Tile API. The session token requests and viewport information requests do not consume quota. domain: A broad indication of the error type. Most errors fall into the global domain; other domains include usageLimits. reason: The reason that the API request failed. Your client should use this field when recognizing errors. message: A human-readable version of the reason field. The contents of this message may change, so your client should not rely on it being consistent. location: The exact parameter name of the offending value. code: The HTTP code associated with this error. It is possible for the errors array to contain more than one error. required: Your request is missing a URL parameter. The error message will specify the missing parameter. For regular map tiles, the maximum zoom level depends on the particular map tile and map options being requested. For regular map types, the x coordinate must be in the range [0, (2^zoom)-1]. For regular map types, the y coordinate must be in the range [0, (2^(zoom-1))-1]. For Street View tiles, zoom must be between 0 and 5, inclusive. 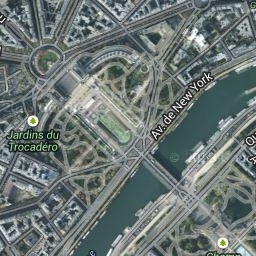 For Street View tiles, the x and y coordinate ranges are the same as for regular map types, until level 5 zoom. At that point, the maximum values are imageHeight or imagewidth divided by tileHeight or tileWidth. invalidCredentials: The session URL parameter is not a valid value. Generate a new value, as described in the Session tokens section of this page. authTokenExpired: Your session token has expired. A session token is currently valid for 2 weeks from its creation time, but this may change without notice. Generate a new value, as described in the Session tokens section of this page. badRequest: Your request was not formed correctly. Common reasons include specifying a terrain map type without including a roadmap layer; including a styles array for a non-roadmap map type; or sending lat/lng as well as a panorama ID in a Street View metadata request. quotaExceeded and rateLimitExceeded: Your application has exceeded its allowed quota or queries per second.